Are you looking to buy a smartphone that has the MediaTek Helio P10 Processor? Before you make that decision, make sure to go through this article to learn more about it. We will figure out whether this Helio P10 is good enough for your device or not. 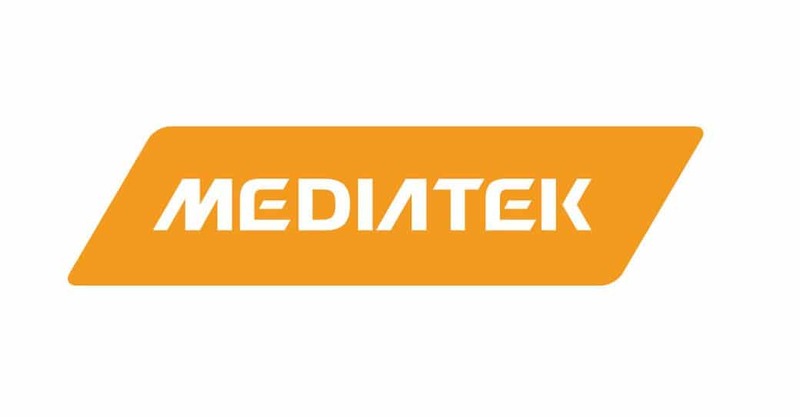 This Smartphone Processor is also known as MediaTek MT6755. Some of the popular smartphones that run on this SOC include Motorola Moto M, Lenovo K5 Note, Yu Yunicorn, Sony Xperia XA, Oppo R9, Nubia N1, Meizu M3 Note, Elephone M3 and Gionee M6. MediaTek launched this System-on-Chip in early 2016. It has a 64-bit Architecture and an Octa-Core CPU. Helio P10 is also known as MTK MT6755 and it is somewhat similar to MT6750 in the specifications. It is built on the TSMC’s 28nm HPC+ Fabrication Process and is the first Processor to use this technique. Compared to other Processors with 28nm Process, it is 30% more power efficient. It has eight ARM Cortex A53 Cores that can go up to a frequency of 2.0 GHz. According to MediaTek, it is a true Octa-Core CPU and therefore it doesn’t have multiple core clusters like the ones present in ARM’s big.LITTLE architecture. Hence, all the eight cores can run at the same time when high performance is required. The Graphics Processing Unit (GPU) in this SOC is ARM’s Mali T860 MP2 which runs at a frequency of 700 MHz. It supports maximum RAM of 4GB which is of LPDDR3 Type on a Single Memory Channel. The rear camera can be of up to 21 Megapixels which is backed up by a Dual Image Signal Processor. It also supports Full HD (1080p) screen resolution with technologies like MiraVision 2.0, BluLight Defender and Adaptive Picture Quality. Hi-fidelity and Hi-Clarity audio ensures great sound quality as well. Also, check out some of our tips to improve the sound quality of Android Devices. Let’s judge the performance of this SOC by using the Benchmark Score. 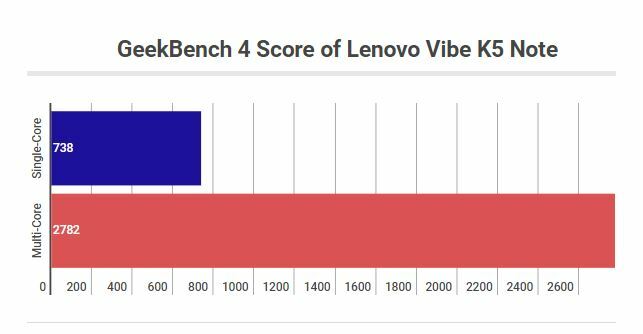 For the Antutu Test, we have Lenovo Vibe K5 Note, Moto M, and Yu Yunicorn while in GeekBench 4, we will observe the performance of Lenovo K5 Note in Single-Core as well as Multi-Core. The CPU, GPU, and the Primary Memory are some of the biggest factors that contribute to these scores. The Antutu scores of all the three devices are similar and that’s the expected score for a processor with 8x Cortex-A53 Cores. Its average score is slightly lower than 50k and this is almost 10k higher than MT6750 and some low-end Snapdragon devices like Snapdragon 430 and 435. However, Snapdragon 625 scores 60k+ which is higher than P10. The Helio P10 gets a decent score in both Single-Core and Multi-Core scores of GeekBench 4 Benchmarking Tool. Just like the Antutu score, it is higher than the MTK MT6750 and Snapdragon 430/435. So, the raw performance of this CPU is good for daily life tasks and phones running on this chip are not likely to lag. I’ll review this SOC on 5 aspects: General CPU Performance, Gaming, Power/Battery Efficiency, Price-to-performance ratio and some other features. With eight ARM Cortex-A53 running at 2.0GHz, you can expect great raw performance. Of course, these are not as fast as Cortex-A72 cores, but still good enough for a lag-free experience. While performing daily life tasks, it is almost as good as Snapdragon 625. However, optimization plays an important role in the real-world performance of the device. Qualcomm Snapdragon devices are usually better optimized and perform better with similar specs. Nevertheless, Helio P10 devices will give you a smooth experience and apps will load quickly. It uses the same GPU (Mali-T860 MP2) as the MT6750, but in Helio P10, it runs at a higher frequency of 700 MHz. This GPU is decent for 720p gaming but you shouldn’t expect good experience at 1080p (most of the Helio P10 devices have a resolution of 1920×1080). Yes, the higher frequency does help and it is capable of running most of the games without lag. However, don’t expect a good frame rate while gaming and I wouldn’t recommend it for gaming. The fabrication technique has one of the biggest impacts of the power efficiency and battery performance. It is manufactured using the 28nm HPC+ Fabrication Process which is almost 30% more efficient than the 28nm HPC Process. So, you will get better battery life when compared to other Smartphones with 28nm Process. However, Processors like Snapdragon 625 use the 14nm FinFET Technology, which is a lot more power efficient. If battery life is a priority, then I would recommend you to go with a Qualcomm Snapdragon 625 device. It supports Single-Channel LPDDR3 RAM which is decent for a low/mid range Processor. Also, it has an LTE Cat-6 modem that supports download speeds of up to 300Mbps and upload speeds of up to 50Mbps. It also a good Image Signal Processor (ISP) and also has some other interesting features like Hi-fidelity and Hi-Clarity audio and MiraVision 2.0. It is a decent processor for low-budget devices, but a good number of MediaTek Helio P10 devices are quite overpriced. Though, we really can’t blame MediaTek for it when the OEMs are pricing their devices higher than usual. Snapdragon 625 devices in the same budget offer a better value for money. In this section, we will be comparing MediaTek Helio P10 with some Processors. This should help you to choose the right smartphone with a Processor that fulfills all your needs. Snapdragon 650 and 652 have better a CPU (Cortex-A72 CPU Cores) and GPU (Adreno 510). These two processors are in a different league and overall, they do a far better job. Snapdragon 625 also has eight Cortex-A53 Cores and they too have a clock rate of 2.0GHz. However, as discussed before, Snapdragon 625 uses the 14nm FinFET fabrication which consumes less power and the battery lasts longer. Also, the Adreno 506 Graphics Processor is better than the Mali-T860 MP2 GPU. MediaTek Helio X10 is older than P10 but still excels in some categories. It supports dual-channel Memory, 2560×1600 max display resolution, PowerVR G6200 GPU. However, in terms of power efficiency, P10 is better. Snapdragon 820 is a flagship Processor with features like Qualcomm’s Kryo Cores, Adreno 530 GPU, 14nm Fabrication and Dual-Channel LPDDR4 RAM. There’s not much to compare here, Snapdragon 820 wins by a huge margin. MT6750 is a lot similar to MT6755 (P10), but MT6755 is a lot more power efficient and runs at a higher frequency. Also, the GPU of MT6755 is clocked at a higher frequency when compared to the MT6750. Snapdragon 430 and 435 also have eight Cortex A53 CPU Cores but they run at a lower frequency. In other aspects, they have a performance similar to that of P10. If you prefer Snapdragon Processors, then go with Snapdragon 435 or wait for Snapdragon 450 devices. At the end, I would conclude by saying that MediaTake Helio P10 is a decent processor for basic smartphone uses. It is good for normal users but certainly not good enough for power users. But in the similar budget, we have better Processors available such as the Snapdragon 625, Snapdragon 630 and Snapdragon 450. So, I wouldn’t recommend going with a smartphone running on this Processor. Though the SOC plays one of the biggest roles in a mobile phone, you cannot simply overlook other aspects such as the build quality, after-sales service, camera performance, design and lastly the price-to-performance ratio. Make sure to judge a phone in all expects before buying one. Thank you for the review! I recently purchased a JESY J9S which has this Helio P10 SoC. Can I ask your opinion of whether this device offers good value for money? I am a somewhat of a casual smartphone user.